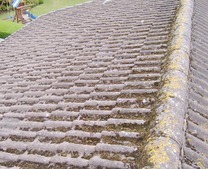 If your roof is covered in moss, dirt, grime and you want to know the cost of roof cleaning we can certainly help. 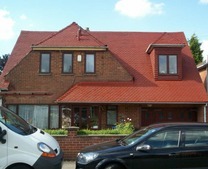 We have a network of professional roof cleaning contractors that cover the whole of Nottinghamshire. They are able to offer free quotes for roof cleaning and roof moss removal across most towns and villages in Nottinghamshire. 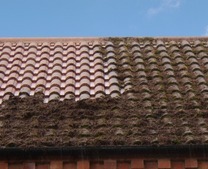 We provide professional roof cleaning and roof moss removal in Nottingham and the surrounding areas including Derby, Newark, Mansfield, Alfreton, Ripley, Heanor, Long Eaton and Ilkeston. 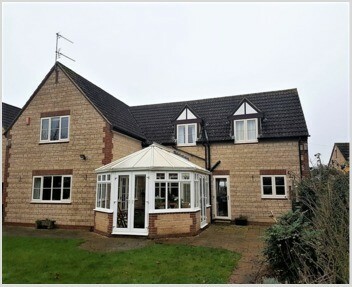 The climate in Nottinghamshire varies throughout the year; from hot summers to warm wet winters. 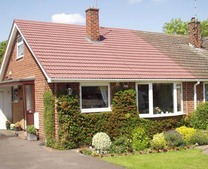 Most roofs, like any part of a home, have a habit of getting dirty and damp roof tiles are very susceptible to the growth of moss and algae. This can cause damage to a roof if left over a long period of time. 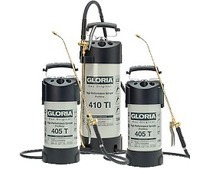 What's more, most homeowners do not have the equipment or the desire to attempt roof cleaning themselves. This means that employing the skills of a professional roof cleaner is the best option when roof cleaning moss removal is required. 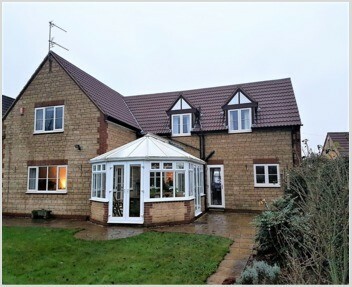 The increase in demand for roof cleaning and roof painting throughout the county is increasing on a year on year basis, as property owners look to refurbish rather than move. 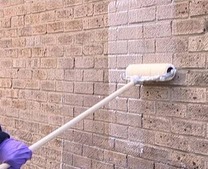 Giving your home or business a makeover can make a dramatic difference to the visual appeal. This is also important for homeowners perhaps looking to move and make the home look more attractive on a first impressions count theory. 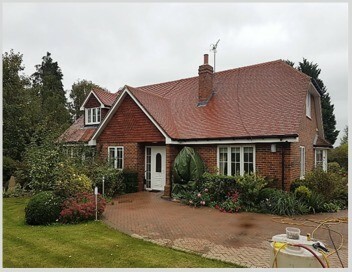 Roof coating or roof tile painting as some people call it is a much cheaper and more cost-effective alternative than replacing a roof. Roof coating is also a much quicker solution as it will only take a couple of days. Painting roof tiles with a high-quality roof coating like Climashield™ from Smartseal can give old roof tiles a total transformation. 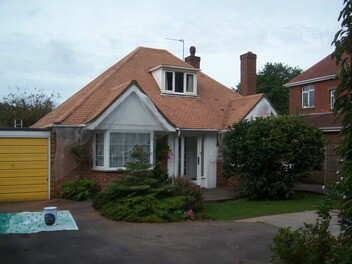 If roof tile painting is done by professionals it can make old roof tiles look like new again. However, the roof coating is only suitable for concrete roof tiles and cannot be used on slate, clay or terracotta tiles. 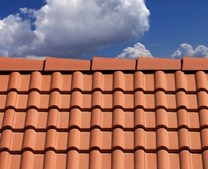 Most roof tiles have a protective coating applied during the manufacturing process. 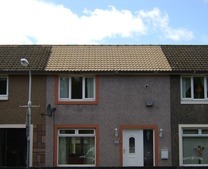 The coating may last many years but eventually will wear down which results in the roof tiles becoming porous. 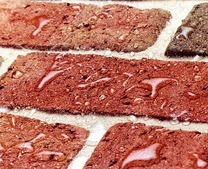 A porous roof tile is a perfect environment for moss and algae to flourish. 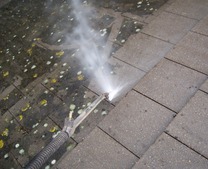 Moreover, moss, algae and lichen can cause all sorts of issues that can be expensive to rectify if left unchecked. 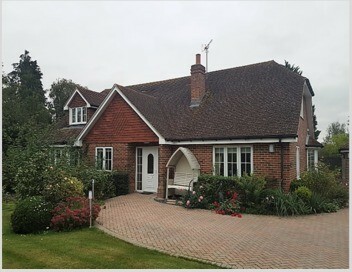 Following acceptance of the FREE quote, the preparatory work involves sheeting up conservatories and other ground floor areas and disconnecting or blocking the downpipes from the guttering system to ensure no issues arise with heavy moss deposits blocking drainage areas. The roof cleaning is carried out using specialist equipment to effectively remove all roof moss, algae and layers of dirt that has accumulated over the years. 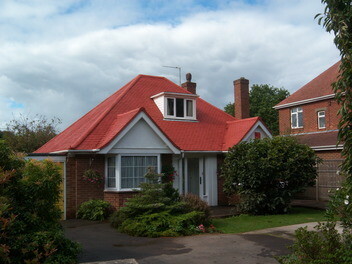 When the roof cleaning in Nottingham has been completed and all exterior surfaces washed removing all debris, the contractor will check for any roof repairs that are required which include all cracked or broken tiles replaced along with all eroded or displaced mortar to the ridge tiles, hips and valleys replaced to ensure the structure is fully weatherproofed and watertight. If you are looking for a roof cleaning service that is Fast, Safe and Affordable then call us on 0800 849 9498 or complete our enquiry form and we will call you back. 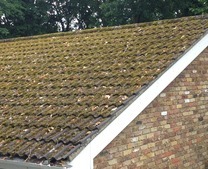 We can clean and remove roof moss, carry out comprehensive roof repairs and complete the work with a protective roof coating anywhere in and around Nottingham including Derby, Newark, Mansfield, Alfreton, Long Eaton, Carlton, Ripley, Heanor and Ilkeston.